We’ve seen dual sliders, even triple sliders, but we’ve never seen a handset that’s based on the definition of sliding components. 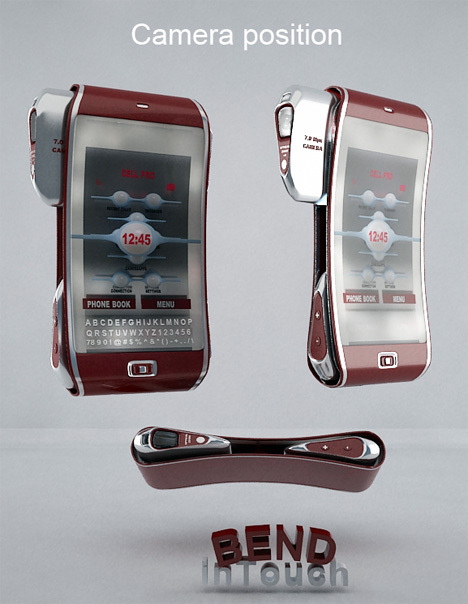 The Bend Mobile was created by Andy Kurovets, who also has a couple of other neat gadgets on his site, in case you’re interesting in cool-looking futuristic design. 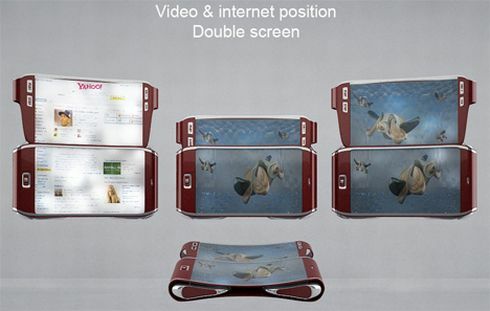 What we’ve got on our hands is a device that features a screen which can double its size by sliding another screen next to it. The camera of the handset also pops up (slides) and if I’m not mistaking I can see a “7.0 megapixels” etched in there, so it comes with a decent sensor. 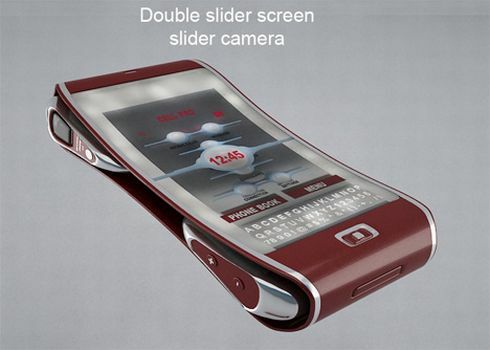 Also, the Bend Mobile features a touch keyboard, a touchscreen, camera zoom buttons, camera flash and a sound system.